(formerly McCreath Taylor & Co. Limited) can now boast of over 100 years of supplying Environmental and Municipal Equipment to the Waste Management Industry. The present owners David and Peter Johnston, since their takeover of the company in 1999, have overseen the rapid growth of their self drive hire vehicle fleet whilst ensuring that sales and service has continued to flourish. 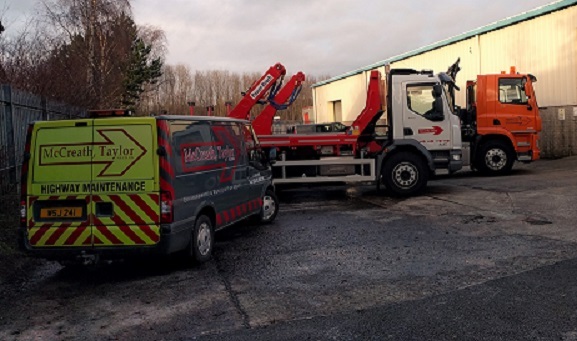 Based in Lisburn, the hub of the roads network in Northern Ireland, we are ideally located for rapid response throughout the Province and many parts of the Republic of Ireland – little wonder then that 02892 662756 is the first number called for SALES, HIRE or SERVICE of ENVIRONMENTAL AND MUNICIPAL VEHICLES. Browsing through our website you will see the extensive product range and services available. First call for Hire, Sales or Servicing on all Municipal Vehicles.